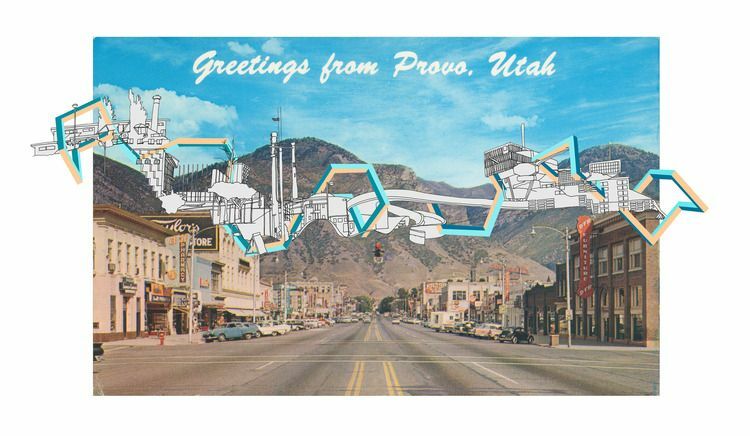 C. Jane Kendrick: Greetings from Provo, Utah! Jeff the curator of contemporary art at the BYU MOA has introduced me to the artist Kim Schoenstadt. Her creations use architecture, math, 3d images, sculpture, cubes, history and lots of interesting colors. They really interest me. 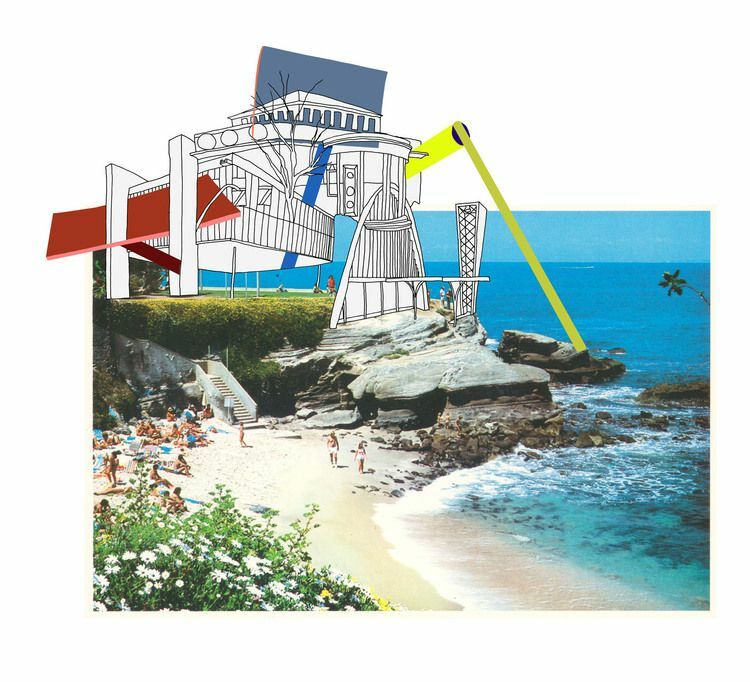 Sightline Series: La Jolla, Ca., 2012, Photo with collage mounted on bristol board, 19 x 24 inches. 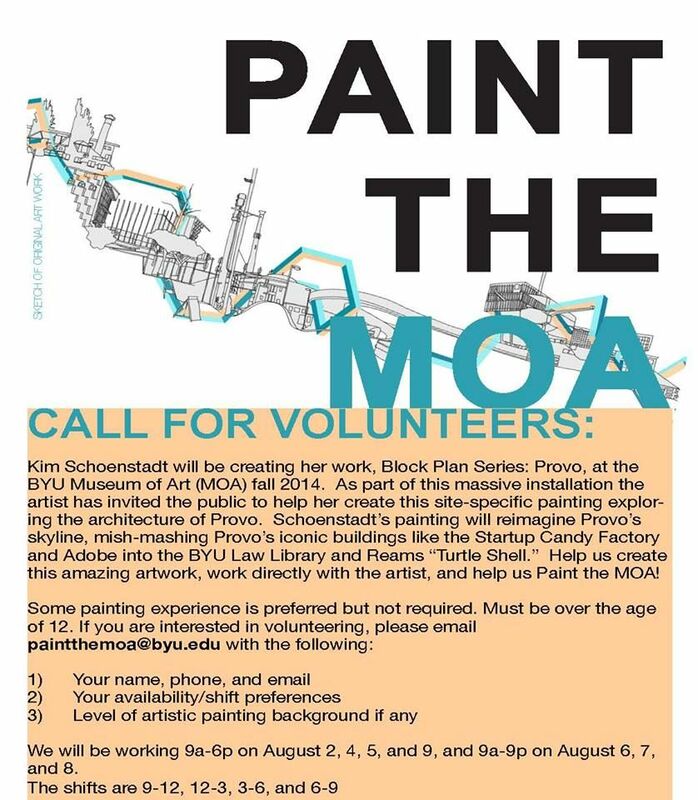 And the great news is that she is here at the BYU MOA to create a landscape of Provo! AND, she's looking for volunteers to help her paint it. There are still some shifts left (see below). If you don't live here, or you can't help at this time, you can follow her blog about it here. You"ll also note that this mural will include some beloved Provo landmarks present and past--like the Ream's turtle shell store and the Startup Candy factory in south central Provo. I've said it before, I'll say it again: it's a good time to live in Provo. The only problem is trying not to be the boring/talentless/uninteresting one on your street...good luck to us all!